The new 2012 Nissan LEAF� is available now* and has been upgraded based on feedback from the thousands of current owners. Quick charging now comes standard in the SL model, and cold-weather features come standard in all models. Plus, we are expanding availability of the 100% electric vehicle. Click below to reserve and order your Nissan LEAF� today, or to sign up for additional info. 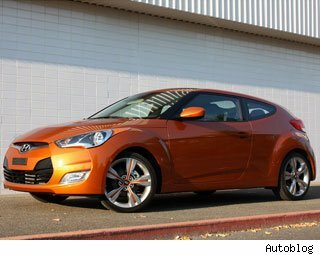 The 2012 Veloster is one more sign of Hyundai's recent success. It joins Hyundai's other swift sellers: Sonata, Elantra, Accent and Genesis. So what is a Veloster? It's a "coupe." The Veloster actually has three doors, one on the driver's side that functions like a conventional coupe door and two on the passenger side, with a rear passenger side door. A sharp exterior design, low starting price, sporty ride and exemplary fuel economy (40 mpg Highway). Discover France http://www.discoverfrance.com, a French company, invites devotees of Tour de France (TDF) to join a variety of non-cycling trips offering VIP access to the pageantry of this international competition. �We�ve had such enthusiasm from our �camp followers� that in 2012 we�re providing even more access to VIP sites,� announced Loren Siekman, owner. �There are so many die-hard cycling fans who can�t get enough of the excitement we�ve tweaked our non-cycling trips to include more VIP access and more route highlights than ever before. Just because you can�t follow the tour on bike doesn�t mean you should miss these special opportunities.� Siekman noted that Discover France is one of the few officially licensed operators that run these tours, so they are granted the best access and the best viewing. New for 2012 will be passage (on a first-come, first-serve basis) on select stages in an official Tour car. More non cycling tours have been introduced, including a Champagne Tasting & Tour VIP experience that will be a two-night trip in the Champagne region as well as VIP access. Helicopter flights combined with a VIP Tour car behind the peloton can be arranged for VIP clients, available for groups of three to six and starting at 9 a.m. and concluding at 6 p.m. on the same day. Following is a sample of non-cycling tours and Paris packages all with VIP access. An Opening Stages Tour includes a July 3 and 4 team time trial finish in an exclusive area complete with snacks, champagne and the best view, plus in Olonne Sur Mer hanging out with former pros, media, and tour officials and team prior to the day�s stage. The Grenoble + Paris Tour brings guests on July 23 and 24 to the time trial finish in Grenoble in an exclusive area complete with amenities and the best view plus from VIP Tribune Grand Palais seating viewing the winner ride the Champs Elysees with the rest of the riders. A Paris + Hotel program includes Grand Palais Tribune seating after a personal welcome by Tour de France hostesses, plus two nights at a four-star hotel. Or another option is to forego the hotel portion and simply enjoy the Grand Palais hospitality in addition to Triomphe, a cocktail buffet, open bar throughout the afternoon, champagne served after the final and a VIP �Tour de France� gift. Discover France Adventures has been organizing bicycle tours and hiking tours in France since 1994 and has offices in both the USA and in France. Discover France is a pioneer in bringing self guided cycling and hiking and now multisport adventures to a broader market outside of Europe. Pure Adventures is an outgrowth of the success of Discover France Adventures, now in its 17th year in 2011. Self-guided bicycle tours were a growth area for the cycling industry last year and it continues to be this year, according to Pure Adventures (http://pure-adventures.com/), sister company to Discover France Adventures that specializes in self guided and custom guided cycling and multisport tours in France. Discover France Adventures award winning tours are made up of their unique self guided tours and very competitively priced guided tours. They are proud to be a continued supporter of Sustainable Travel International. Visit http://www.discoverfrance.com for all details or contact them by phone at 800.960.2221 or by email at contact@discoverfrance.com.